Both of you will receive one Enervon Activ Hydration Belt from me! 🙂 Please go to the Riovana store in BGC and claim your item from any of the RunRio registration staff starting tomorrow, April 30. You will be asked to present an ID so please do not forget to bring one when claiming. Meanwhile, those who are interested to get their own hydration belt from Enervon Activ, visit my previous post HERE to see the mechanics. Remember, these are available only until supplies last. 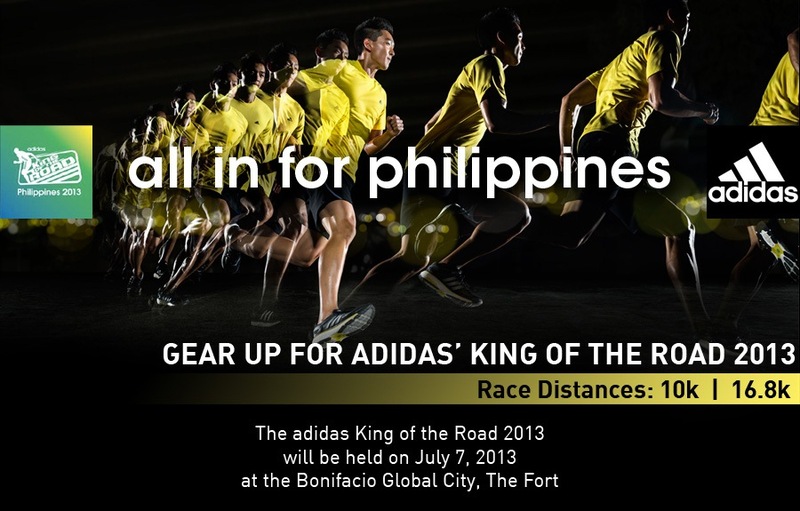 I’ll be having my very first TAKBO.PH RunFest this year and is looking forward to have nothing but fun! 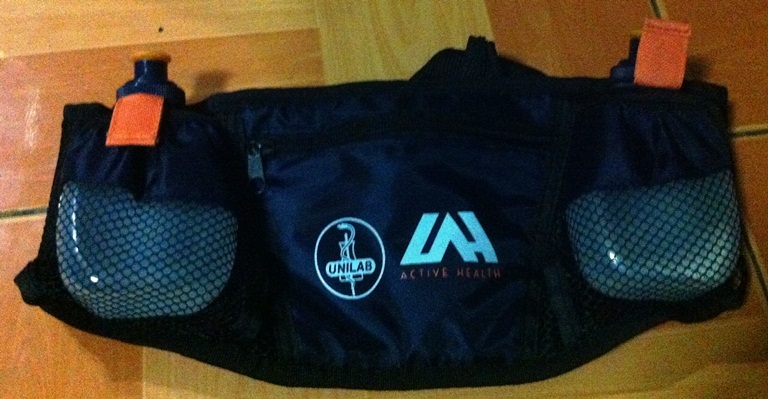 If you have already registered for the 2013 Run United 2 race or have plans of registering, then an Enervon Activ Hydration Belt might be yours for the taking! 2. 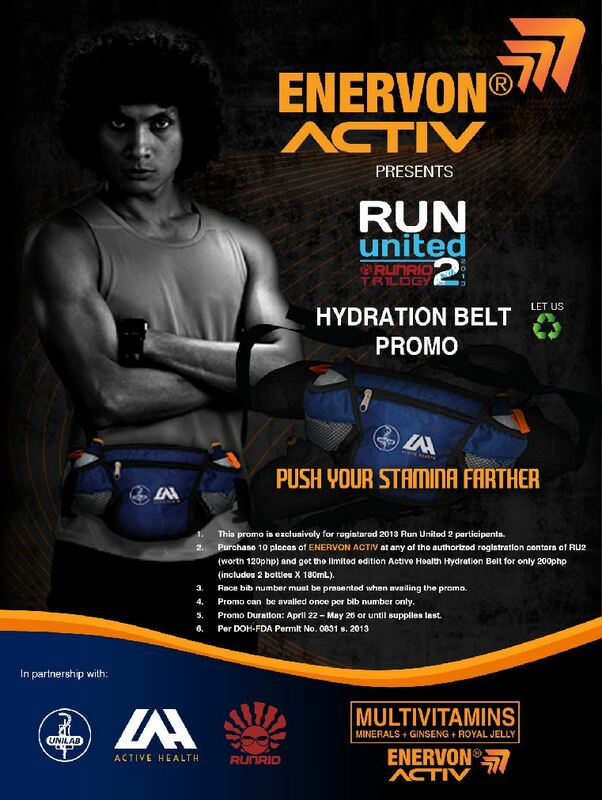 Purchase 10 pieces ENERVON ACTIV at any of the authorized registration centers of RU2 (worth 120php) and get the limited edition Active Health Hydration Belt for only 200php (includes 2 bottles X 180mL). But then again, with the generosity of the people from Unilab Active Health/Enervon Activ, I will make it a little bit easier for TWO (yes, just 2!) lucky readers of this blog to own one! Read more to know how! 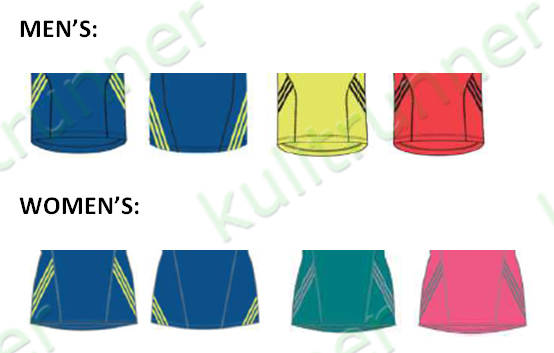 a link to a photo of yours taken during your Run United race participation (RU 1, 2, 3 or RUPM of 2012 or RU1 of 2013). please make sure that the link points to an accessible photo. 2. The two entries with the best looking photo AND best answer will be announced as the winners. 3. Entries can be posted starting today until 8PM of Sunday, April 28. 4. Winners to be announced afterwards and will be emailed on the details on how to claim their prize. 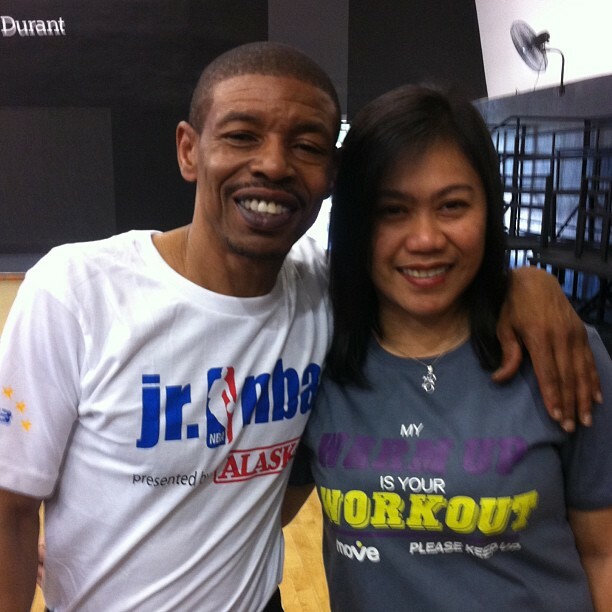 Having been a basketball fan during my childhood, it is with delight that I got to be invited to the Meet & Greet activity of the Alaska Milk Aces with NBA smallest player ever, Muggsy Bogues. I always remember him as the basketball player in the Sprite commercial on TV who got past an opponent by going through in between the very tall player’s legs! Muggy is here to provide inspiration to the kids who are participants of the on-going Jr. NBA National Training Camp. As the training camp ends and the “selection camp” is due on Sunday, one of the most heart-warming message that this NBA veteran imparted to the kids is that motivation and determination is a key to take you to the realization of your goals/dreams. A message so inspiring and appropriately coming from a man who at first nobody every believed will get to be in the NBA. But he did got in and made history while on it! Incidentally, the Jr. NBA Camp is being presented by Alaska Milk and aims to produce the best kiddie basketball players in the country. At Sunday’s Selection Camp, 10 Filipino kids will get to be selected as the top camp participants and will get a chance to represent the country in an NBA related activity. In a related development, Alaska Milk has also forged an agreement with NBA to be the presenting partner for the first ever Jr. WNBA program in the Philippines. Below is the related press release. 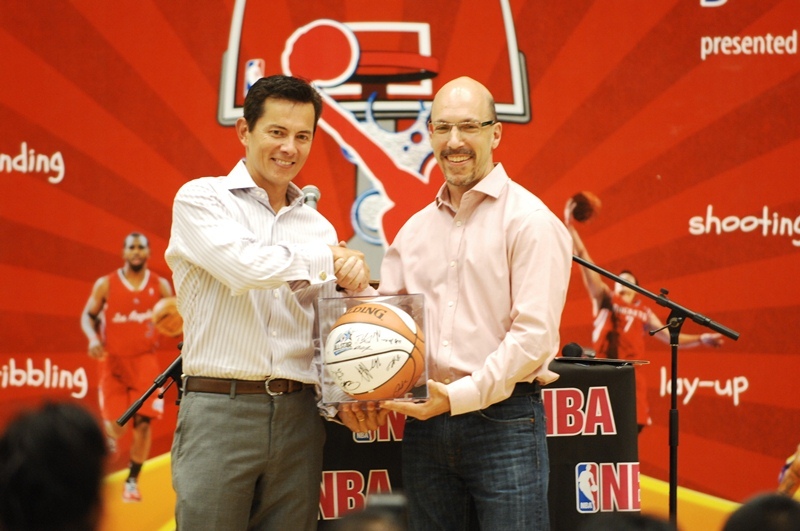 MANILA, PHILIPPINES APRIL 26, 2013 – The National Basketball Association (NBA) and Alaska Milk Corporation (Alaska) have announced the expansion of their multi-year marketing partnership that began in 2011. As the Official Milk Partner of the NBA, Alaska will maintain its commitment to developing basketball in the Philippines and will connect with the passionate NBA fan base through grassroots events, television and digital exposure, and promotions for its customers at retail. Building on the success of the Jr. NBA Philippines program, Alaska will serve as the presenting partner for the first-ever Jr. WNBA program in the Philippines. Tipping off in 2014, the Jr. WNBA presented by Alaska will give Filipinas the opportunity to showcase and improve their basketball skills. Alaska also will continue to serve as presenting partner for the Jr. NBA program, which is currently in its sixth season. “Alaska is excited to be renewing our relationship with the NBA,” said Wilfred Steven Uytengsu, Jr., President and CEO, Alaska Milk Corporation. “Our partnership with the NBA has helped us reach thousands of Filipino youth each year, encouraging them to lead a healthy lifestyle through sports. More importantly, we help them realize their potential as individuals while instilling positive values. We anticipate even more success through this partnership with the NBA in the many years to come”. The sixth season of Jr. NBA presented by Alaska, which will conclude this weekend, saw record participation numbers with 1,000 kids at the school clinic in Davao and a total 1,374 kids trying out for the Regional Selection Camps. The National Training Camp will be held in Manila this weekend with the top 10 players being named to the Jr. NBA All-Star team and the Jr. NBA Coach of the Year being named. Over the last three years, in partnership with Alaska, the Jr. NBA program has grown to reach more than 500 schools and 60,000 students, parents, and coaches across the country. Each year a new city benefits from the free grassroots basketball program that involves not just young players but also their parents and coaches. More information is available on the Jr. NBA event website at www.jrnba.com.ph. 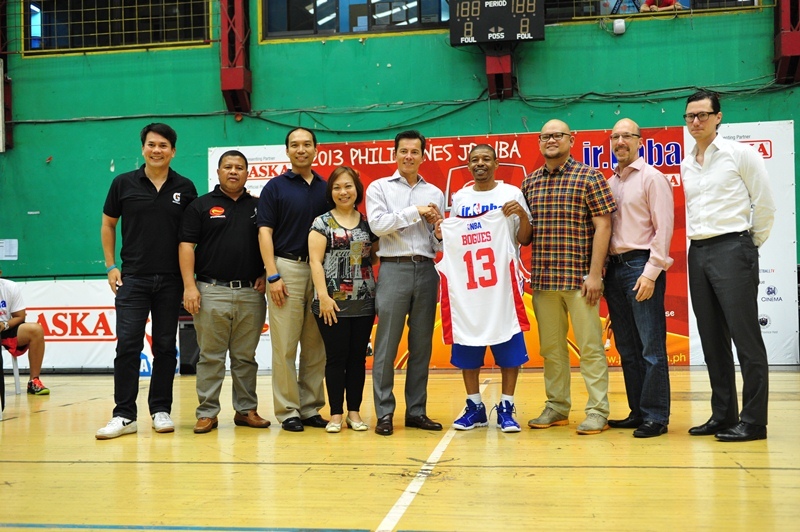 Fans can also follow the Jr. NBA on Facebook at www.facebook.com/jrnbaphilippines. For all things NBA, visit www.nba.com or follow the league on its official Twitter feed at www.twitter.com/NBA_Philippines. Hello folks! We are so used to running clinics being held in various locations by different running groups and/or coaches. But these are all more often than not meant to teach everyone how to run on the road and seldom is it customized to teach everyone the basics of trail running. 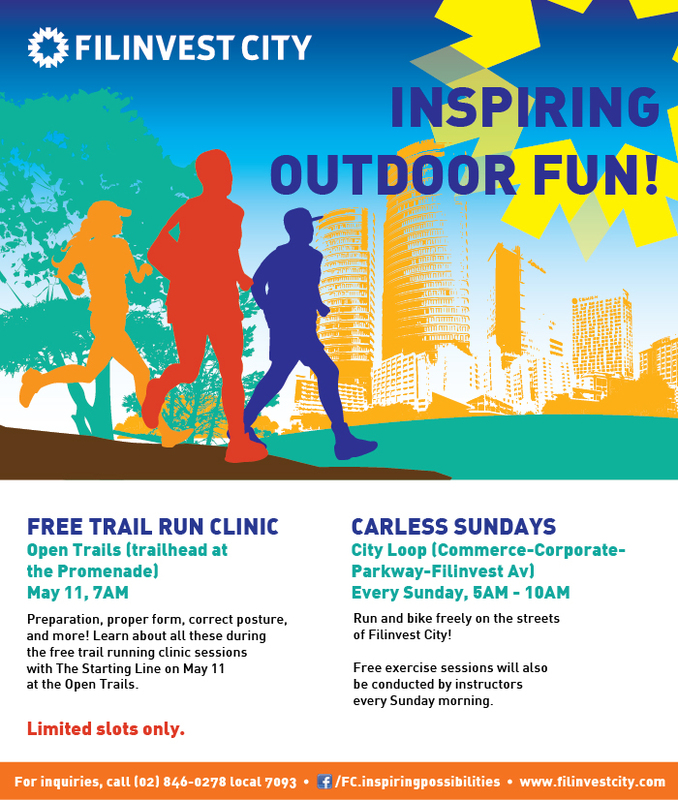 Fret not, Filinvest City, as part of their Summer activities and as they boast about their newly expanded trails, is sponsoring a FREE Trail Running Clinic on Saturday, May 11. Hello folks! 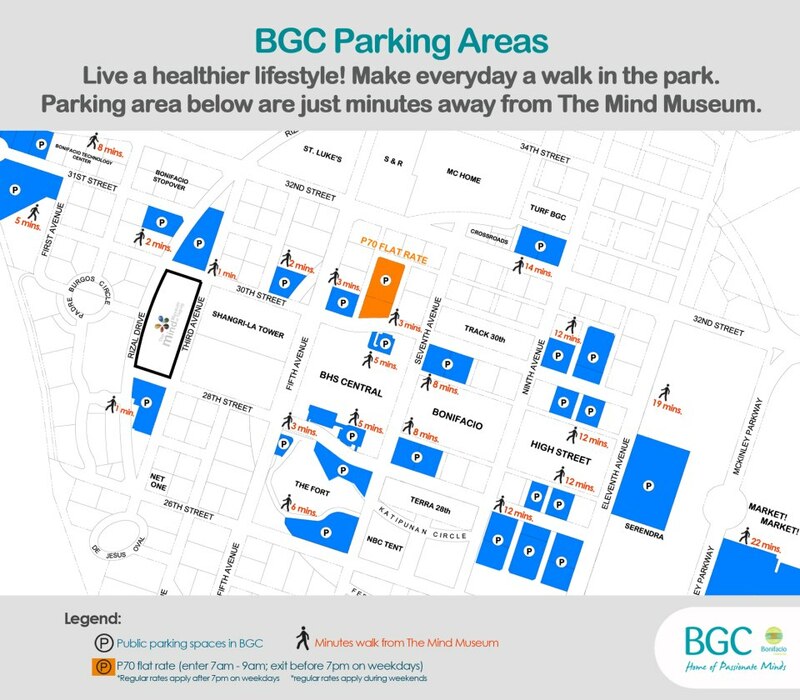 As race day draws near, here are important reminders from the organizers of the NATGEO Earth Day Run 2013 which you will need to take note of. We are concerned about the heat and temperature on race day. We want you to finish strong so we adjusted the gun start earlier for 21K and 10K. New gun start for 21K is 4:00 am. New Gun Start of 10K is 5:00 am. Assembly time is one hour before. We encourage you to use your EDR bottles but water will be provided all throughout the course. Energy drinks are also provided at the finish line. Security will be tight as your safety is our utmost priority. Please allow at least 1 hour before gun start for parking and baggage deposit. We ask you to please cooperate with the organizers and our security personnel. Certificate of Participation for all categories will be available for claiming as early as 4:00 am. You need not finish to claim your certificate. 21K Finisher stubs will be given to you at the finish line. Please present this to claim your specially made ILLEST Finisher Shirt. Please dispose of your trash at designated trash bins.